AALT began over 40 years ago in response to a challenge issued by Bill Manson, a SAIT library technician instructor. 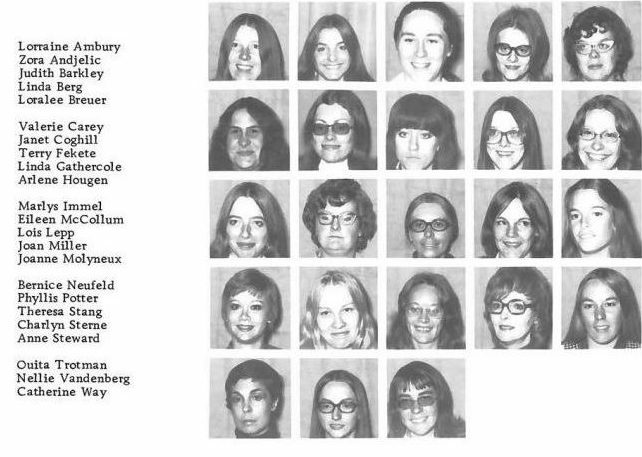 For several years Manson had urged his second year students to form a professional organization and finally, the 1973-1974 graduating class accepted the call. Lead by Bernice Neufeld, the group researched the requirements of forming an association and the planning began. Meetings were held with other library technicians based in and around the Edmonton and Calgary areas. Then came the day that this informal group realized they were ready for the next step, to gather as many technicians together as possible and elect an executive. And so, under the leadership of Bernice Neufeld, plans for the first annual conference began. As Bernice stated in her article in a 1980 issue of that AALT Technician, “to start with I had no money, no experience, only grand ideas and believe me they were grand.” The conference was held in Red Deer, Alberta on February 21-22, 1975 with 37 people attending the Annual General Meeting. The Alberta Association of Library Technicians was created and the first executive was elected with Judy Thomas as President, Jennifer Connors as 1st Vice President, Doreen Bills as 2nd Vice President. Carol Dubuc as Secretary, Carol Lukasiewich as Treasurer, and Kathy McNeely and Shirley Bateman as Councilors. In recognition of all her efforts in creating AALT, Bernice Neufeld was made the first Honorary Member of the Association. The AALT Constitution was finalized and submitted to the Alberta Government Companies Branch and on September 8, 1975, the Alberta Association of Library Technicians was officially incorporated. In May 1993, the first Library Technician Award of Excellence was presented to Michelle Catonio. The first AALT Special Service Awards were presented in May 1994 to Julie Hudak, Ray Jorritsms and the 1994 Conference Committee. The very first Dewey Award was presented to Pat Sweeney in May 1994. In May 1997, the first AALT Advocacy was awarded to Mike Parkinson. In May 2000, Merle Harris was awarded the first and only AALT Lifetime Achievement Award. The name of the award was changed to he Merle Harris Achievement award in honor of Merle. The first Merle Harris Achievement Award was presented in May of 2003 to Pat Cettiga. In February 1979, the AALT annual bursary was established. At the May 14, 1994 Annual General Meeting, the AALT Conference Bursary was approved by the membership. In June 1996, it was established that SAIT and Grant MacEwan bursary recipients receive a free conference registration package so that they can be presented their bursaries at the conference. In October 1996, it was decided that a $250.00 gift be given to each of the library technician programs at Grant MacEwan and SAIT to be used by the department for the benefit of the program. These funds would come from the proceeds of the previous year’s conference. In 1997-1998, the AALT Professional Development Bursary was created, funded by the interest of the Association’s GIC. In February 1980, AALT adopted red and white as their official colours. In 1988, the AALT logo was revised and the official colours became blue and white. Since that time, the AALT logo has changed very little. In 1998, with the addition of yellow, the official AALT colours became blue, white and yellow. As for the AALT display, the original display was used for the last time when AALT made its first appearance at the Calgary Career Expo on November 7, 1992. The acrylic display was replaced with a three piece display board and signage, which was purchased in 1993 along with a banner. The first AALT workshop titled “What is a Computer and What is it Doing in My Library?” was held in 1976 in Edmonton on September 24 and in Calgary on September 27. The original Executive structure has one councilor responsible for all professional development workshops. This caused geographical and logistic problems and so in 1990, the position was divided into Program North Councilor and Programs South Councilor with Red Deer being dividing line. In 1990, the two year term positions were changed to one year, which encouraged members to volunteer for the positions and the two councilor positions became five specific positions – Membership, Newsletter, Public Relations, Southern Region Programs and Northern Region Programs. At the 1996 Annual General Meeting, the AALT Executive structure changed, removing the Past President position and adding President/President-Elect, Journal Editor and Member-at-Large and merging the Treasurer and Membership positions. In May 2000, the AALT Executive was renamed the AALT Board of Directors with the Councilors becoming Directors and the President, President-Elect and the Member-at-Large forming the Executive Committee. Membership rates in 1979 were $7 for Personal Members and $5 for Associate Members. In 2000, AALTs fiscal year-end was changed to December 31 to coincide with the Membership year end. In 1976-1977, AALT received our first grant from the Alberta Government. In 1988, AALT received a grant from the Alberta Foundation of the Literary Arts. In 2004-2005, AALT received a grant from the Community Initiatives Program (CIP). In May 1994, the Standing Orders were rescinded pending their incorporation into the operating policies of the Executive Handbook. In June 2000, the AALT Board Handbook was created. The idea for the AALT Mentoring Program was created during the 1992-1993 year and was officially launched in 1994. In 1996-1997, the Mentorship Program became the responsibility of the Member-at-Large as an ongoing project, it was continually being revised. The first AALT Technician was published in 1975 and in February of 1981, it was assigned the ISSN 0228-9490. In 1996, the AALT Technician was reclassified as a journal. In 2005, the AALT Technician left its printed format to become available online at the Members Only section of the AALT website. The first AALT Membership Directory was created in 1979 and starting in 2005, it was available only online in the Members Only section of the AALT website. The first AALT website was launched in the spring of 1995 on the Calgary FreeNet servers. In the spring of 2000, the single AALT brochure was divided into two, Alberta Association of Library Technicians: Communication, Cooperation, Continuing Education for member recruitment and the Alberta Association of Library Technicians: Partners in Information for Library Technician Promotion.